Instagram Selfie Mirror Photo Booth Station | Social Media Kiosk | We Print your Instagram Photos with Social fotoBar | Twitter Feed | Serving all of USA | Los Angeles, New York, Chicago, Washington DC, Atlanta, Miami, and UK. Make your event a bit more Social. We Print Instagram Hashtag Photos at your Social Event. Instagram Social Media Photo Printer and Twitter Feed for Social Event. Use the power of Instagram #HASHTAG, Twitter, Facebook and Events with SocialfotoBar InstaPrinter and InstaKiosk. 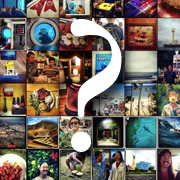 Guest will shoot their photo via Instagram. #Hashtag the photo with #NameofEvent and their message. Photos with the # will be displayed on Projection Station, Touchscreen Kiosk and Digital Signage for all to see. A great way to expose your Brand Activation. Photos will also print on professional quality 4x6 prints or our exclusive 4x3 Mini Polaroid Prints with Instagram Profile, Photo, MSG, and Branded artwork of the event, or BRAND. With 200 plus prints per hour, your brand will reach many hands. Guest can also interact with Touchscreen Kiosk and reprint, and email the Photo. Make you event a bit more Social with SocialfotoBar. 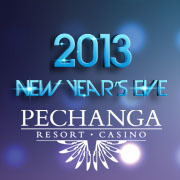 Hosting Pechangas biggest Social event of the year. Pechange used the power of Instagram and Twitter for their New Years 's party. Guest Snapped-Tagged-Printed their photo with or Social InstaPrint Printer Stations. Instagram Event Marketing. 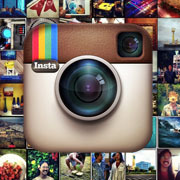 Instagram Photo Printer and Twitter Feed for Social Event. 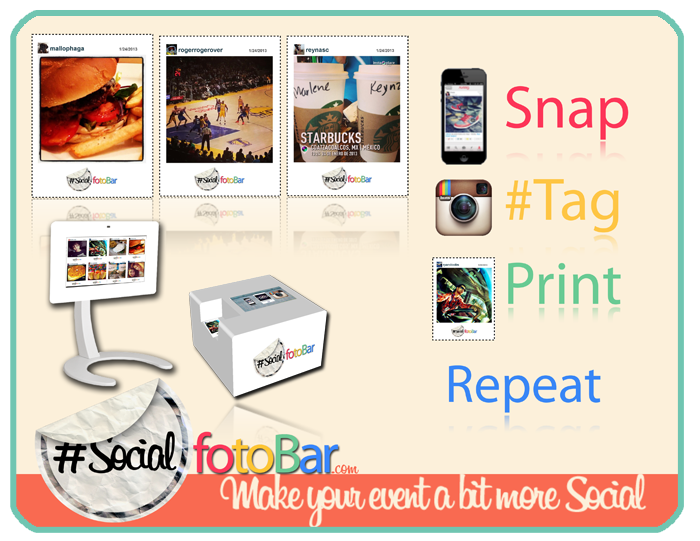 Use the power of Instagram, Twitter, Facebook and Events with SocialfotoBar Instagram printing for event marketing. 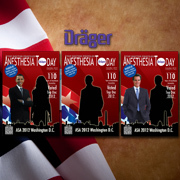 Drager invited our 46" Touchscreen Insteractive Photo Kiosk to Washington D.C. for the ANESTHESIOLOGY™ 2013 Expo. Guest can choose their Political Celebrity and instally print with Social Media upload to Facebook, Twitter and Email. How will your Expo Booth stand out from the rest. 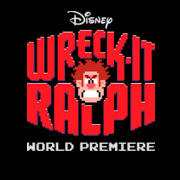 We created an interactive promo application for Disney video game Disney Universe which was showcased at E3 show. The purpose of the application was to allow the show visitors to become a part of the game. The resulting application is easy and fun to use: visitors took pictures of themselves, chose a character from the game, and enjoyed the real game scenes. Finally, Facebook sharing feature was a real hit of the show. Two 55" TouchScreen Kiosk and Greenscreen with Three Scenes from Disney's Wreck it Ralph film. Disney wanted to infuse the Film with Greenscreen technology and an interactive Photo Kiosk. The scenes were selected and guest were placed in the film. Make you Event a bit more Social. Invite SocialfotoBar and iTouchBooth to your next Tradeshow, Expo, Social Event, Product Launch, Concert, Red Carpet. "You have to be DIFFERENT, GREAT, or FIRST"